Impact Playground What & Why? Tawa Innovation Fest is the first crowd-sourced, inclusive and action-oriented innovation fest happening in Lima, Peru. The first edition took place in multi-spaces in Lima from 14th to 17th of March, 2018. During those 4 days a new community of change makers was kicked-off with the aim of empowering each other and together pursue societal innovations. Tawa Innovation Fest (TIF) born in conversation with Philippe Greier, Motohiro Fukasawa, Brandur Bjarnason Karlsson and others change makers from around the world during Katapult Future Fest 2017 in Norway. The edition of TIF 2018 was co-designed and co-arranged by Bert-Ola Bergstrand, JeanPierre Candiotti and Carla Tamagno — a group of facilitators, evangelists and developers of Impact Journey, a global community of change makers. In fact, TIF 208 is an innovation unconference that was designed and implemented with the #ImpactPlayground method. #ImpactPlayground is an evolving method for innovation that uses a multi-stakeholder experimental approach for enabling the creation and development of agile innovative communities, novel productions and processes. This method builds on co-creation at a local and global level; experimentation, testing and prototyping; and digital collaboration for enabling learning and practicing in the pursue of societal innovations. 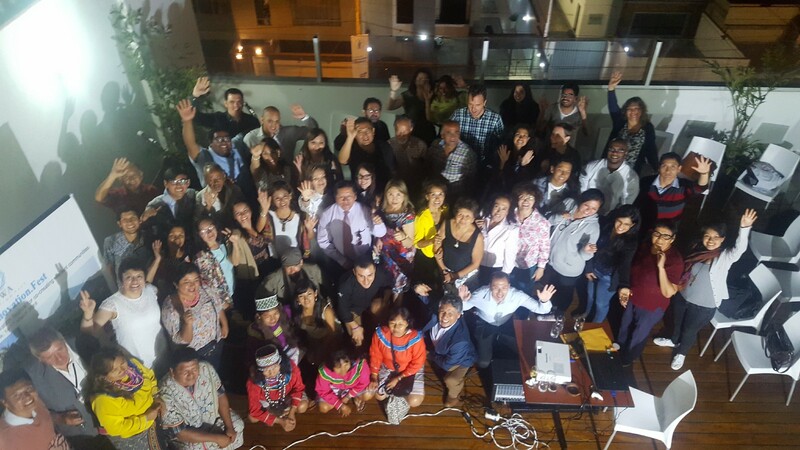 Inputs from the local community in Peru with regards to the focus area for the edition of 2018 were taken from 2017 through El Peru Sostenible: capacity building for societal innovators, mitigation of consequences of natural disasters, education, governance and democracy, and investment. Connect local and international knowledge and innovation hubs for a symbiotic work in the creation of a sustainable development. Initiate and accelerate projects on social and eco resilience (natural disasters mitigation projects, the future of democracy, alternative education 2020, impact investment). International partners were assured and the call for local co-creators was announced. Cesar Tamagno, Carla Tamagno and JoseMiguel Mestanza were our first allies and partners in Lima. Cesar founder of Alphatomica a marketing agency; Carla, CEO of Smart Global Development; and Jose Miguel, change maker and community grower of Impact Journey in Peru. Two remarkable universities and innovation hubs in Perú signed as partners and sponsors of venues: UP Emprende, the innovation center of Universidad del Pacifico (UP) ; and CIDE, the innovation center of Pontificia Universidad Católica del Perú (PUCP). Thanks to Julio Vela, head of Innovation Center of PUCP; and to Javier Salinas, head of the Innovation Center of UP and representative person of Business Angels Peru. Two beautiful venues were offered thanks to Carla interventions: Lima Chamber of Commerce; and a venue for the kick-off from Miraflores Municipality. 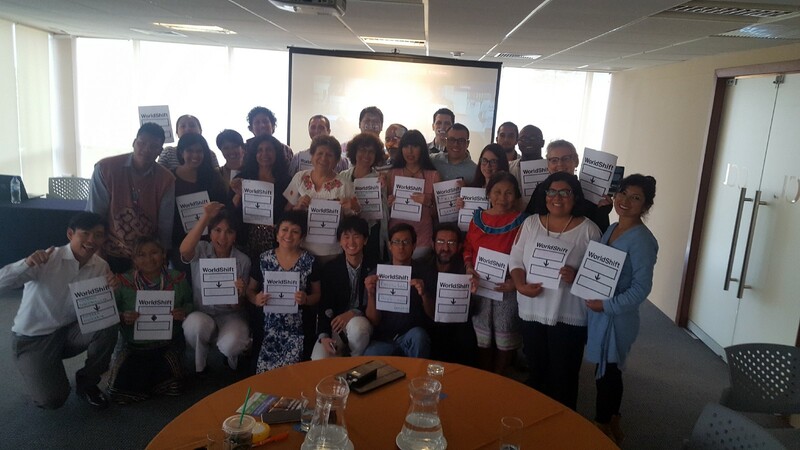 The best group of facilitators in Peru became associates: DH Facilitadores Perú. And sponsorship of hosting and meeting place was given by Paulo Rathbone at Kokopelli Hostel. It is opportune to acknowledge that Tawa Innovation Fest would not be possible without the energy and efforts of all the co-creators and participants. Special thanks to Carla and Cesar Tamagno. The Resilience Opportunity: #ImpactPlayground & Nested Collaborative Social Innovation. 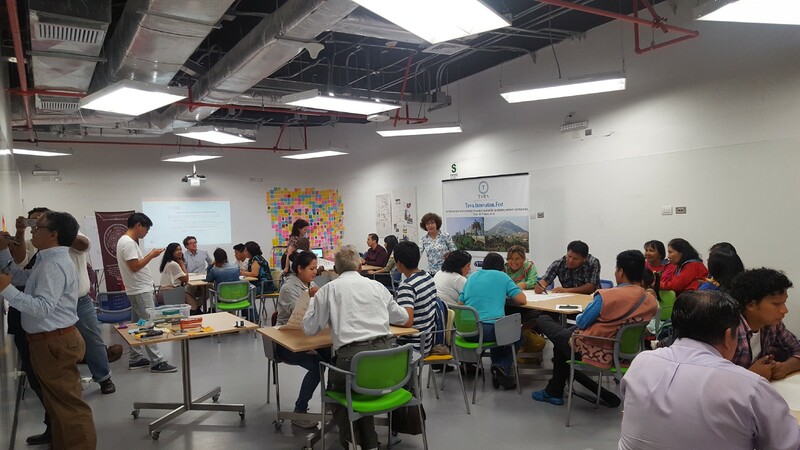 This workshop was held at the Innovation Lab of Universidad del Pacifico with the aim of building capactiy for pursuing collaborative social innovations. The mentors of the day were Cynthia Reynolds (Norway), Davida Ginter (Israel), Leila País de Miranda (Brasil), Florent Kaiser (Germany), Esperanza Alarcón Parrado (Colombia / US) and JeanPierre Candiotti (Sweden). Day 2: Building Capacity workshops for collaborative social innovations. Dayan Zussner, peruvian architect, urban developer working for Housing Ministry of Peru and project member of El Ermitaño: Memorias de un barrio autoconstruido (El Ermitaño: Memories of a self-constructed neighborhood) answered to our call to become a co-creator and together we decided in make a study-case of El Ermitaño a vulnerable neighborhood in Independencia Municipality, Lima. 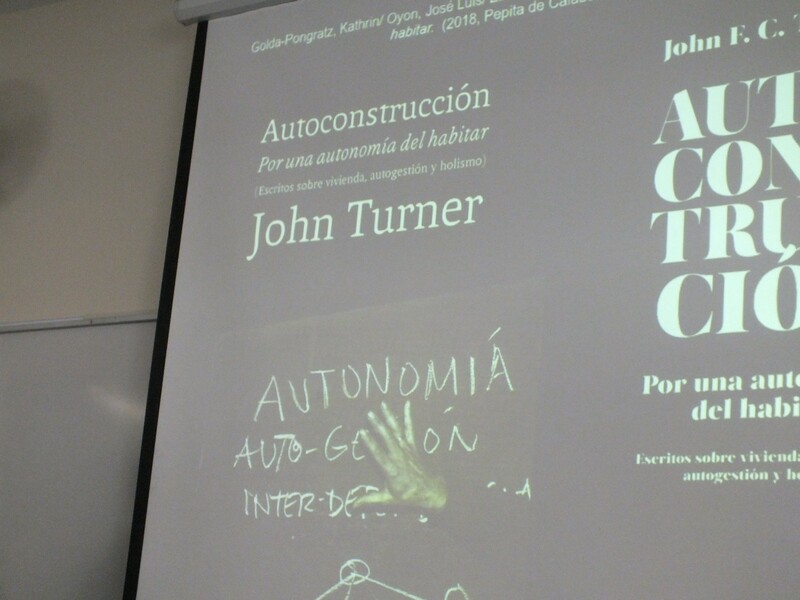 Dayan introduced Kathrin Golda-Pongrats, professor of international urbanism at Frankfurt University and colleague to her at El Ermitaño project. Dayan contacted the City Mayor of Independencia; The Manager of Environment of the Municipality; and representatives of organized collectives to be part of the open innovation day at Universidad Católica del Peru. -> How could we mitigate the consequences of natural disasters in El Ermitaño by using knowledge and tech of 2018? The innovation proposal was to relocate houses that are in high zone risk to new self-sustained, resilient and regenerative neighborhoods. Richard Nelson entrepreneur of Solaroof and Representative Person of PodNet is one of our community mentors on the topic of building locally food systems for self-sustained communities and his knowledge, willingness and tech is ready to be tested at El Ermitaño. Day 3: Dayan and Kathrin’s presentation at Universidad Católica del Perú. Moving beyond Smart Cities (tech focused) to Learning Societies (human centered approach). Motohiro Fukasawa, Kristian Mjøen and Bert-Ola Bergstrand presented WorldShift and Learning Societies concepts, tools and workshop. The main premise is to collaboratively turn persons into Living Labs to identify societal challenges and become part of the solution. Motohiro, presented the tool #WorldShift to move from old paradigms to new paradigms. 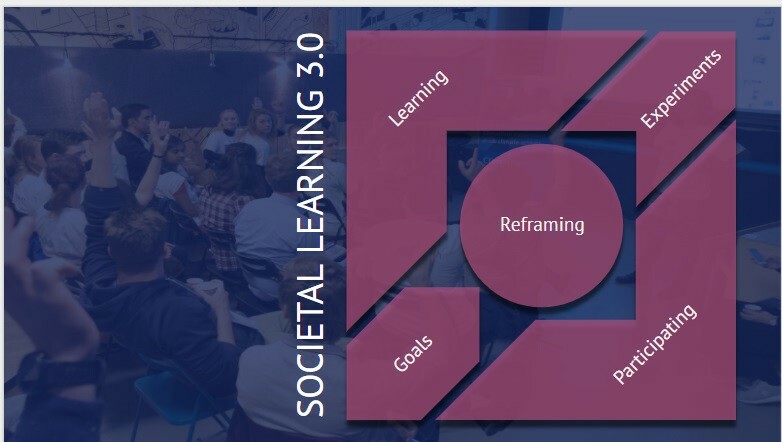 Kristian, presented Learning Societies model that is being implemented in Trondheim Norway and the components to make societal transitions to a new collaborative, experimental, goal oriented and knowledge based decisions society models. Bert-Ola presented the importance of building social capital to work collaboratively as the importance of using digital tools for learning and practicing. Tawa Innovation Team including mentors and local change makers are looking into engaged municipality officers and high education representatives to develop together Learning Societies models in Perú. Please contact us for accelerating the transition of new societal models! Neal Gorenflo, co-founder of Shareable and The Global Sharing City Network presented some cases of the latest published book “Sharing Cities: Activating the Urban Commons” which showcases over a hundred sharing-related case studies and model policies from more than 80 cities in 35 countries. It witnesses a growing global movement and serves as a practical reference guide for community-based solutions to urgent challenges faced by cities everywhere. This book is a call to action meant to inspire readers, raise awareness, and strengthen the sharing movement worldwide. 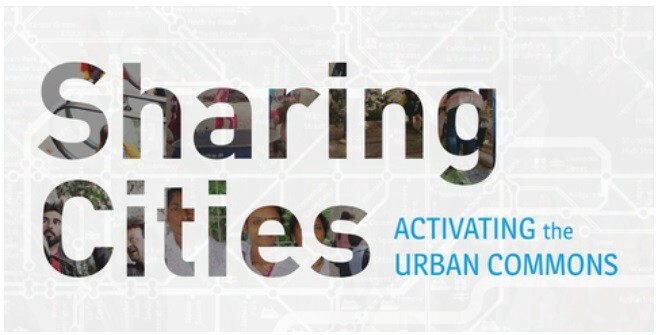 Sharing Cities: Activating the Urban Commons. Esperanza Alarcón representing the Institute for Evolutionary Leadership presented in a case / workshop how what we design (actions that we take) design our own reality and how this reality also effects on who we are. Institute for Evolutionary Leadership Presentation. 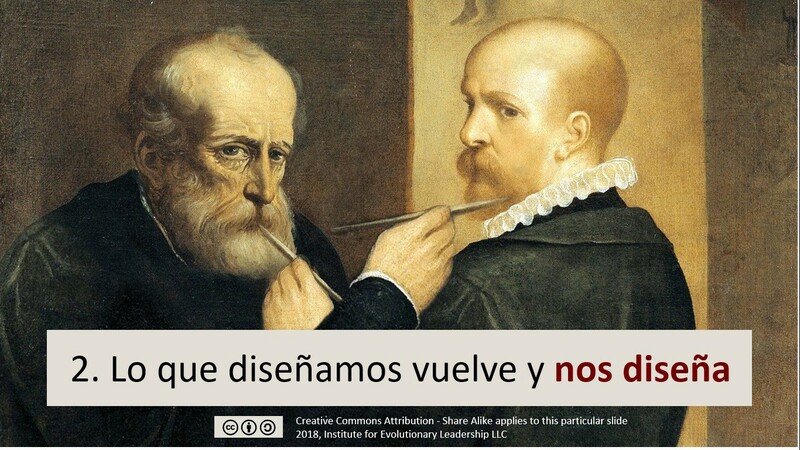 The IEL invites all social innovators to participate of The Evolutionary Challenge for a training on Evolutionary Work in San Francisco, Sweden and Colombia. Apply before 15th August 2018. Future of Democracy and Blockchain technology as a tool to prevent electoral frauds. Blockchain is a revolutionary technology that currently is used not only for cryptocurrencies but also for Social Impact projects. This technology is promising to prevent electoral frauds as it allows to decentralize the recording of electoral votes. In our digital panel we had Susanne Tarkowski, founder of Bitnation Pangea presenting the Future of Nations and Governance; and Benjamin Siegel, representative person of Consensy and Blockchain for Social Impact (Ethereum). TIF is looking into a lead person to push the digitization of the electoral process in Perú. To shift from a capitalist self-centered world to a flourishing world for all we need to educate young and adults with alternative education for change makers. TIF has the best mentors for alternative education representing the most remarkables schools of Europe. Our digital panel and mentors discussed the importance of alternative education to face the challenges of today, contextual varieties and possible components. Uffe Elbaek — education for a sustainable future. Uffe Elbaek emphasizes that we should become the best version of our-selves and how can we create meaningful learning and supportive educational environments. He advices to trains our-selves to have high level of meaning with relationship, change and exchange competences to be able to create meaning around us. We have to work on creating societies where each of us are able to unfold our life talents on a high meaningful level. In the digital panel we had Philippe Greier lead of Edu Shifts United (Global); Floris Koot representative person for Knowmads Business School (Holland); Christer Windelov principal at Kaos Pilots (Denmark); Yannick Wassmer representative person for MSLS (Sweden); and Anmar Kamalaldin, inserting sustainability concepts into the International Baccalaureate. The TIF Team is looking into partners and change makers to co-start an alternative education school in Lima. Jorn Lein-Mathisen, director of Business Angels Norway; and Kevindoylejones, founder of Socap were two of the first allies to make TIF a reality. 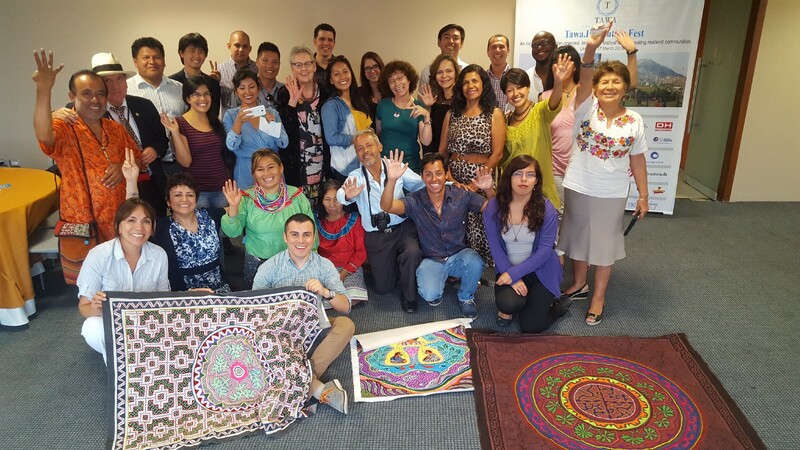 They both supported with positive energy, direction and interest in creating resilient communities in Perú. 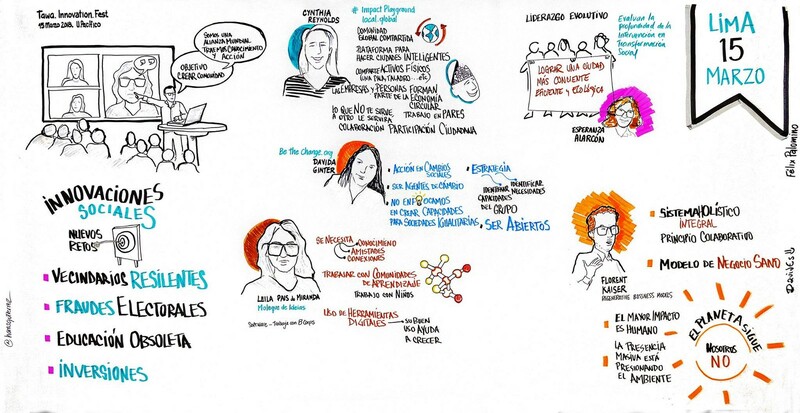 At the moment we are discussing a new collaborative model of positive socio-ecological impact businesses birth and growth in Peru aka “Business Incubation and Acceleration”. During the 4 days of TIF the team have chosen to do follow ups with two projects: (1) Traditional Medicinal Garden, (2) Activating Local Economies in Rodriguez de Mendoza — Amazonas; there are planned meetings with a multi-stakeholders project for alternative crops to Coca Plants; and others. Additionally, in order to create #impact we are organizing with our partners of Alphatomica # Pitch4ImpactDays (dates where we invite entrepreneurs to present initiatives that create a positive impact on society and / or ecology), the selected initiatives will enter into a mentoring program and presentation to our network of impact investors. The #Pitch4ImpactDay will be every 2 months (April 21, June 23, August 25). Inscriptions to TawaInnovationFest@gmail.com. We asked to the participants in one word what did TIF meant for you? The answers were: solidarity, health, integration, challenge, opportunity, The Sacred Path, Common Cause, Passion, Spark, Fire, Change, Transformation, Collaboration, Good Living, Transcendence, Surprise, Innovation, and Connection. Thanks to all for positive engagement and let us keep in touch for Tawa Innovation Fest Edition 2019.